Rectorate, UIN News Online â€“ The Rector of UIN Jakarta, Prof Dr Dede Rosyada MA, congratulate the new prospective students who are passed the enrollment test, especially for the local recruitment test participants. 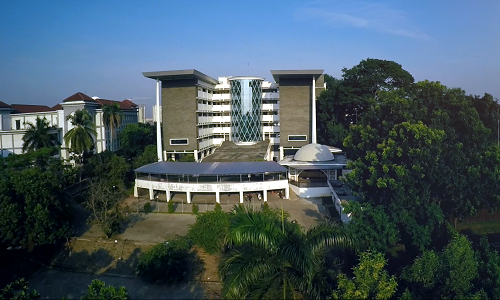 According to Rector, the entrance test to UIN Jakarta in this year is getting tighter because the number of the applicants who register themselves to UIN Jakarta are continued to increase. â€œAs a Rector of UIN Jakarta, i would like to congratulate you for passing the selection test. Please study with strong determination and full commitment, so you can obtain high achievement in the future,â€ said Dede. Dede also revealed that UIN Jakarta opened 7 enrollment types, namely Inter-Universities Recruitment (SBMPTN) , National Recruitment (SNMPTN), Performance â€“based recruitment (SPAN-PTKIN), Inter-Islamic Universities Recruitment (UM-PTKIN), Local Recruitment (SPMB Mandiri), Special Scholarship-based recruitment, Inter-Institutional and International Recruitments. All enrollment test for 2017/2018 academic years is participated by a total of 163.362 people, increased by 12.86% from the previous year (2016/2017) which amounted to 13.261 people. 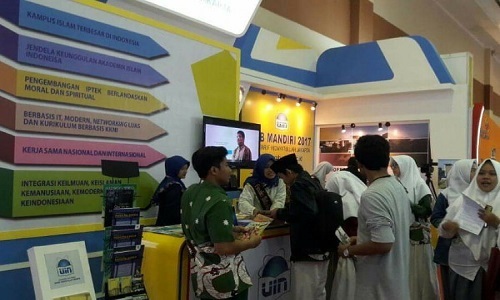 Meanwhile, unlike other enrollment tests that have been previously announced, the results of the local recruitment (SPMB Mandiri) selection path will be announced on Friday, July 28, 2017. Sub-division head of Documentation and Publication UIN Jakarta Feni Arifiani MA, added that local recruitment test participants who have passed the selection will be processed for the grouping of their single tuition fee (UKT) until August 10. This process will include the data support clarification to determine their UKT groups.